This week I've been to three different cities, had major surgery, visits from several family members (and one new addition) and learnt to live without bending my hips past 90 degrees. It's been a roller coaster of emotions. I started my week at a friends house in Cardiff. As I was heading for surgery Monday morning my sister had lined up a wonderful weekend of distractions starting with Christmas shopping and ending at the circus so I'd really had no time to worry. Monday saw me in and out of surgery and thankfully back home. They tried to keep me in over night but luckily by evening they let me go for the long drive home. The rest of the week has been a steady recovery and slow re-learning of life basics within the confines of my new body. It's going to be a long time until I'm back to full health but I'm pleased to say it seems to be going well and I was even able to dress myself again or the first time today with the assistance of some handy leaf pickers, which was a pretty proud moment. We've also had a new canine companion join the family who's the most precious thing. We were introduced just yesterday but I can't wait to have her around for the Christmas period. I've never had a dog (although she's not mine) so it's going to be an exciting new adventure. 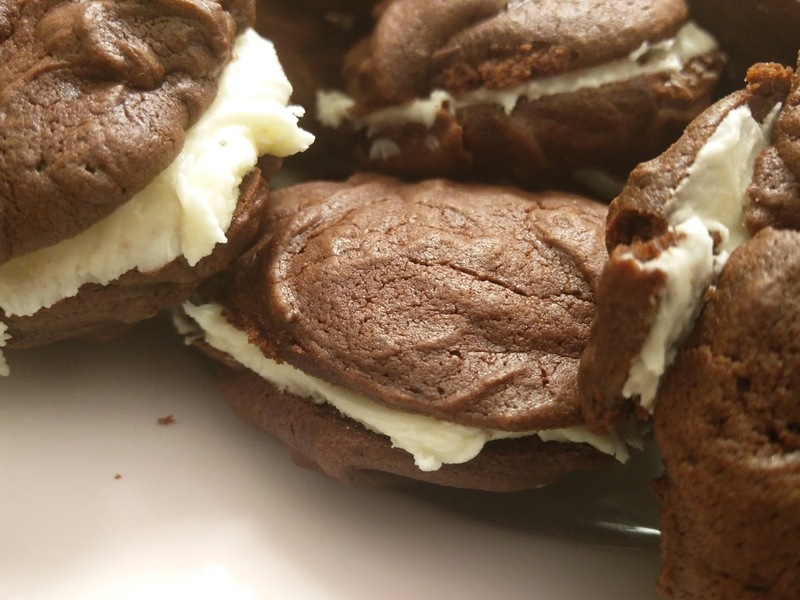 We also got in some baking (chocolate whoopie pies!) time so you know recovery definitely isn't all bad! I'm going to be taking it steady for the next few months but I'm doing my very best not to let the blog fall behind too much. After all I'm going to be sitting around a lot so it'll be good to have something to occupy myself with! Of course we can't forget this week was also the start of the Blogger Snail Mail community which was so exciting. I've really so happy to have done this and hope that as the months go by more and more of us will get to know each other and we can make a really friendly, caring community. If you're not sure what I'm talking about you can find out more here and here, and you can join in too! Letters go out every month so you can join in whenever you'd like, I hope you do! So there we are. A long week but a good week. I'll keep you posted on my recovery! !